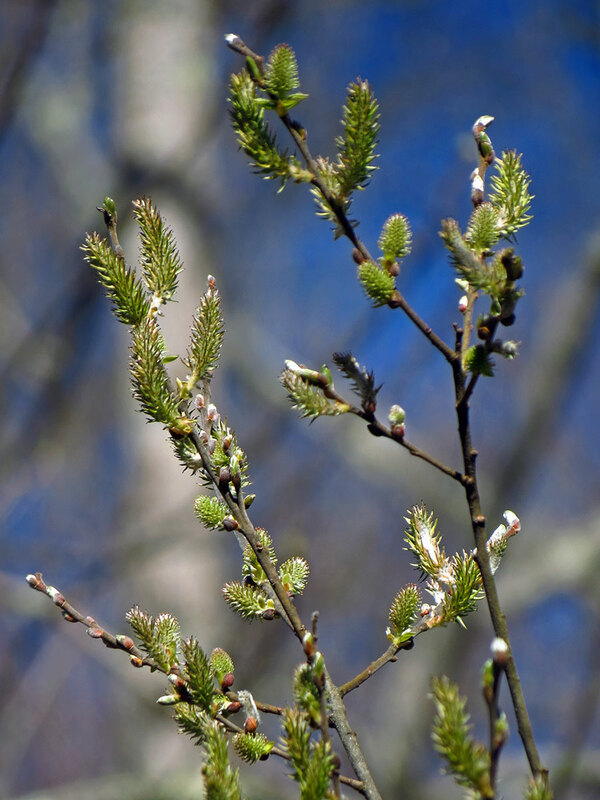 We met at Cold Prong Pond Overlook on the Blue Ridge Parkway for a hike around the Cold Prong Pond Loop Trail and looking for spring wildflowers along the Tanawha Trail. This hike was led by Sue McBean, Superintendent at Grandfather Mountain State Park and Hiking Coordinator for the Blue Ridge Chapter. One of the first plants we found already made the trip worth going. 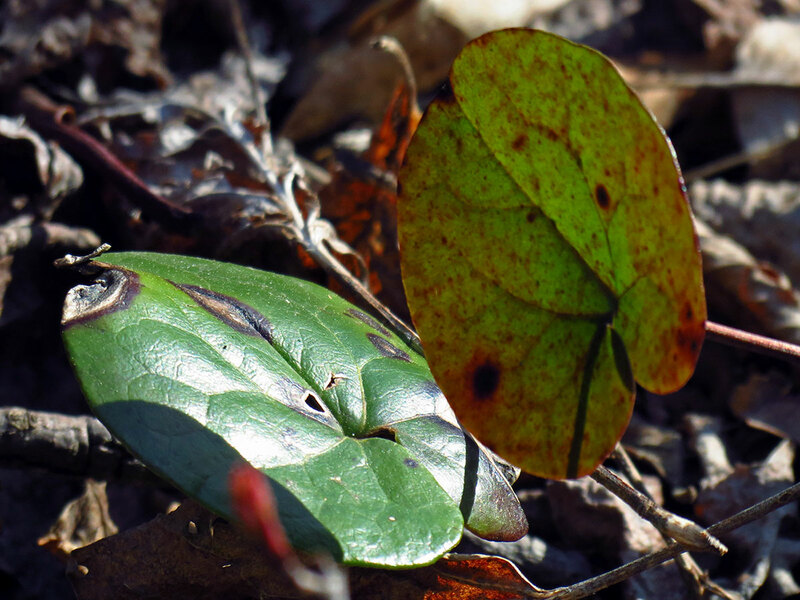 Those of us with a "botanical eye" spotted these leaves and recognized them as some type of Hexastylis. 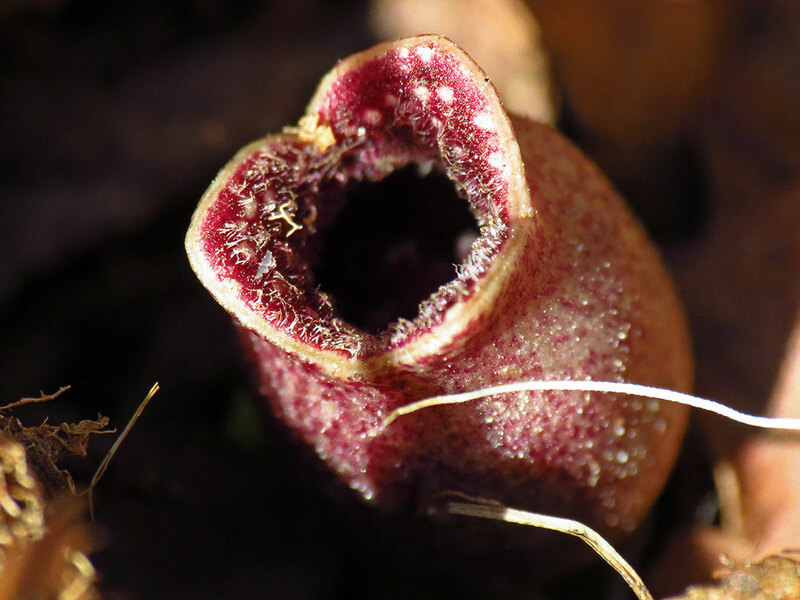 We weren't quite sure what species, maybe Hexastylis shuttleworthii? Where's Mark when you need him! 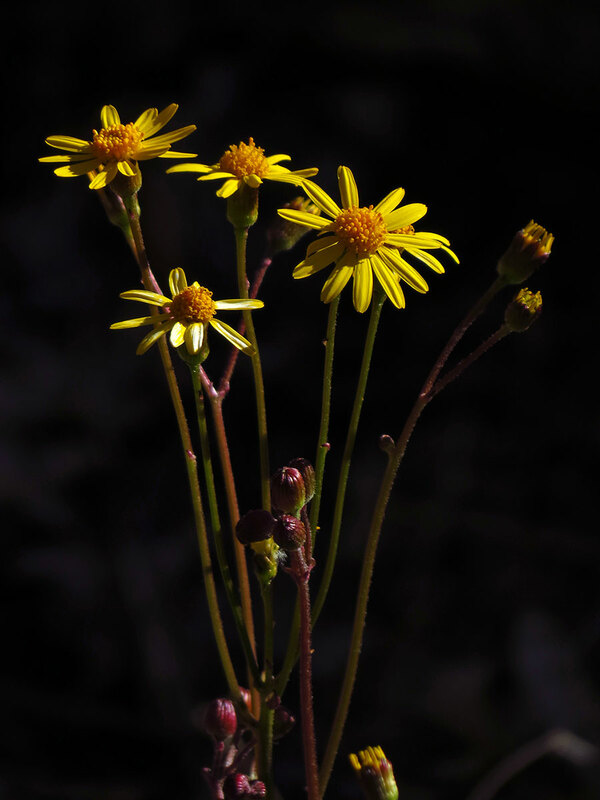 Golden Ragwort (Packera aurea) was plentiful and blooming along the trail. 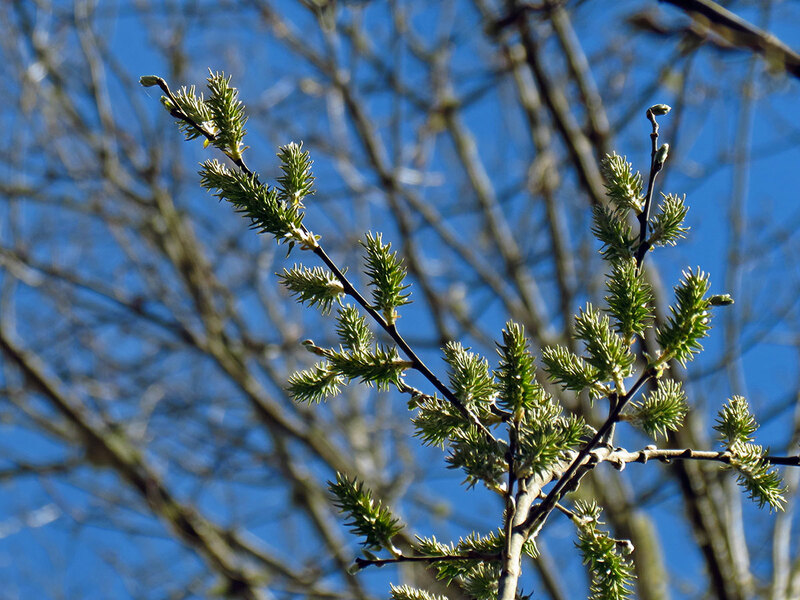 There were lots of these willows growing around the trail where the pond used to be. There is no longer a pond there, but the area is still quite wet and muddy. 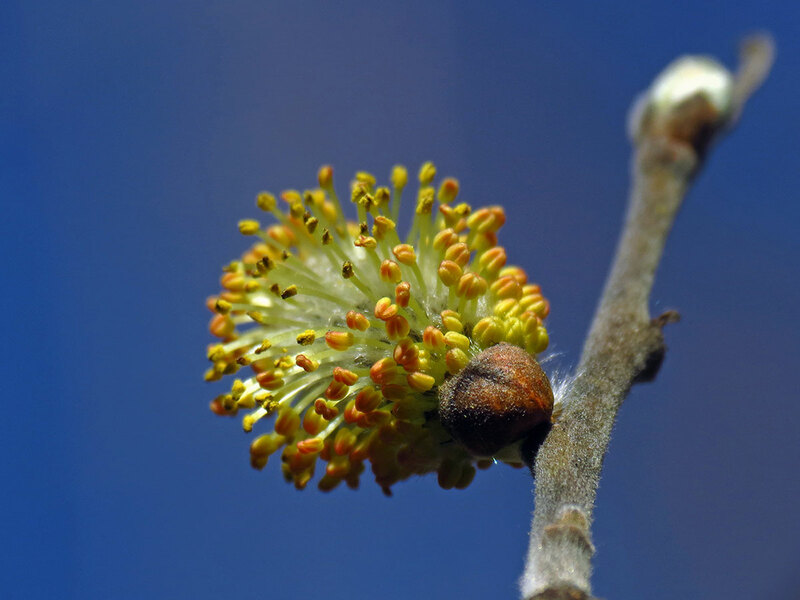 Another picture of the willow catkins. We were debating about the species but I think the consensus was that it's probably Salix sericea. A lot of the catkins we saw appeared to be female, but there were a few staminate ones as well. 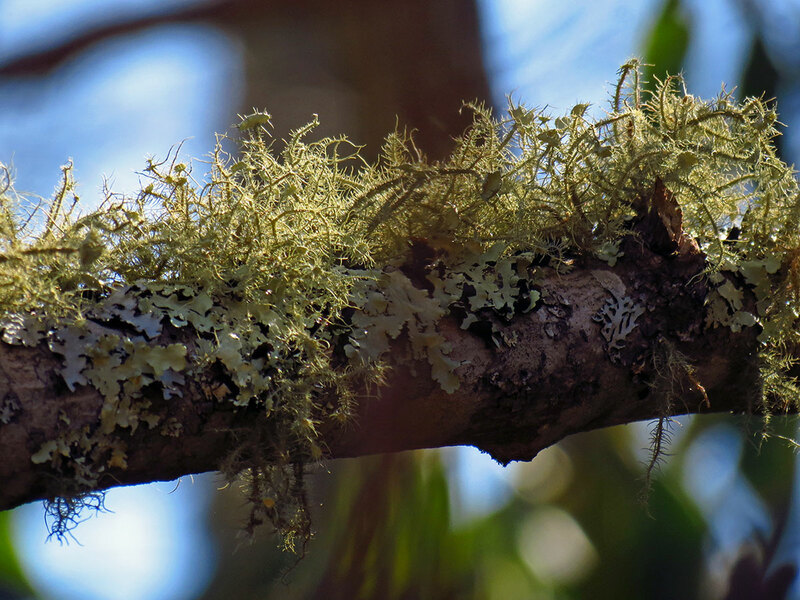 Lots of lichens on the trees. This is nice mix of foliose and fruticose lichens. 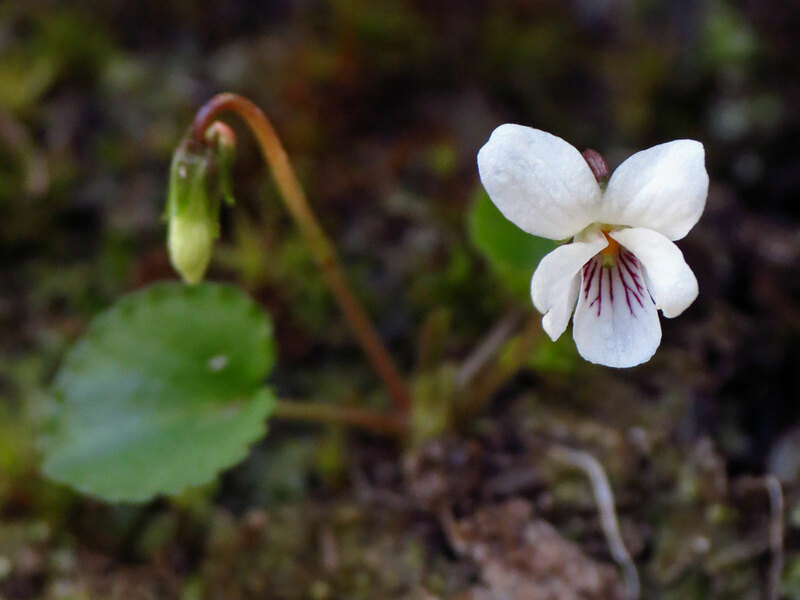 Hiking down the Tanawha trail from the Cold Prong Pond Loop, we found lots of tiny violets in bloom on the slopes along the trail. Most of them were Sweet White Violet (Viola blanda) but we also saw the Round-leaved Yellow Violet (Viola rotundifolia) in bloom. 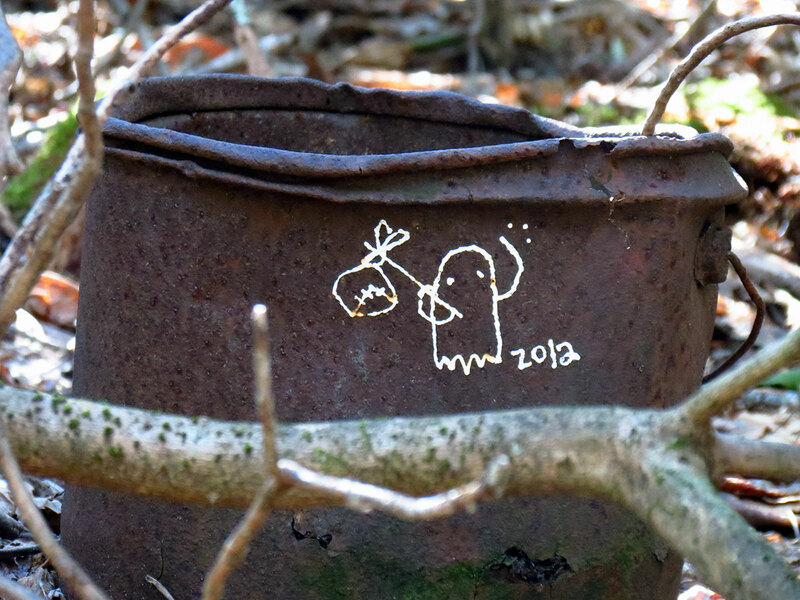 Someone apparently left a rusty bucket in the woods, maybe for someone else to find and photograph it? There were quite a few curious items hidden along that trail. 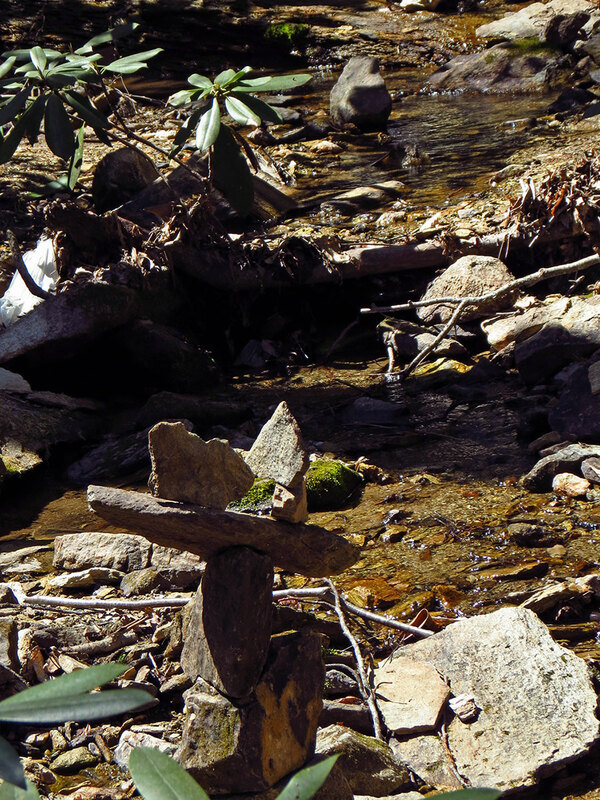 Someone stacked up rocks at creeks along the trail. This kind of activity is not encouraged. The woods and creeks along the Blue Ridge Parkway are home to a large number of salamanders, some of them endangered species. They depend on these rocks and will make their homes under them. Salamanders are territorial and some will spend their entire life hiding under the same rock as a home base. Moving these rocks around or stacking them high up can destroy a habitat and threaten the animals that depend on them. Please don't do it! With our eyes trained onto the forest floor to spot those tiny early spring bloomers, we spotted another curious item out of place. A discarded gun hiding under the shrubs! We called the ranger and secured the gun to make sure it didn’t walk off. You just never know what exciting and unexpected things you’ll find on a hike in the woods around here.